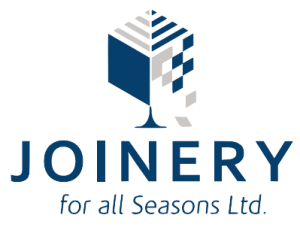 With more than 30 years of experience in the industry, Joinery For All Seasons understands the need for high-quality, customised internal wooden doors for your home. We take a personalised and holistic approach to manufacturing, making sure every detail of the design reflects your individual taste and preferences. We know you want the right doors for your living space, which is why we hire some of the best craftsmen in the industry. You can be sure that each door we produce and install meets the highest standards of quality and safety. Our internal door range includes oak, walnut timber veneers and solid timber. We likewise offer laminated, MDF, and glazed doors for that shiny and elegant appearance. If you need extra protection, we have FD60 and FD30 Fire Rated Doors that come in primed only or painted/stained finishing options. Joinery For All Seasons offers bespoke, made to measure wooden interior doors that match your entire living space. 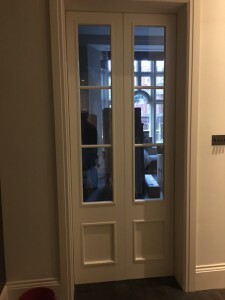 Whether you need it for your kitchen or just about any room in your house, we can design and manufacture an internal door to your specifications and choice of style. We likewise specialise in door ironmongery, providing our clients with a range of options. With Joinery For All Seasons, you can have that durable and stunning interior doors that will look great in your home for years to come. Discover our internal door options today and discuss your specific requirements with one of our master craftsmen. Call us at 01795 661248 or fill out our online form to get started.